Giants Expected To Draft Quarterback Early? 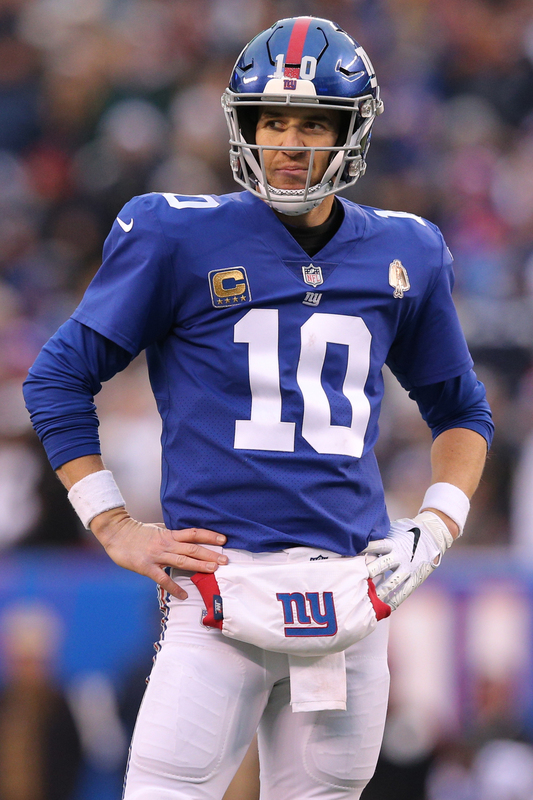 With Eli Manning going into a contract year, and the 15-year veteran’s status not completely certain for 2019, the Giants will be connected to quarterbacks this offseason. While the Giants could take their chances with Manning for one more season with an eye on an as-of-now-promising 2020 group of passer prospects, the team may not be willing to wait another year. The Giants are “looking hard” at this year’s crop of quarterbacks, a source informed Ralph Vacchiano of SNY, adding it would be a surprise at this point if they did not draft a signal-caller in the first two rounds. The Giants, whose top two picks sit at Nos. 6 and 37, obviously made one of the more controversial decisions in recent draft history by taking all-world running back talent Saquon Barkley over Sam Darnold. While Barkley won offensive rookie of the year honors, the Jets have a potential long-term passer while the Giants remain without a Manning heir apparent. Manning is still expected to return as Big Blue’s starter next season, but Vacchiano adds the franchise appears more serious about finding his successor this year than it was in 2018. The Giants entered their ’18 war room without a clear consensus on the draft’s top passer and were not blown away by any of them. No known Manning dialogue has commenced between the Giants and Manning’s agent, Tom Condon, yet. The Giants, however, are not expected to wade into the free agency waters for a quick-fix solution, Vacchiano adds. Their 2019 starter options would appear to be Manning, who just turned 38, or a first- or second-round draft choice. Of course, the historically durable Manning could groom a younger passer chosen this year. Dwayne Haskins, Drew Lock, Daniel Jones and perhaps Kyler Murray are the quarterbacks receiving first-round buzz this year. Next year’s crop may well include Justin Herbert, Tua Tagovailoa and Jake Fromm. The Dolphins are looking at the latter contingent; the Giants might not be.